Is there such a thing as self-employed health insurance? Home / FAQ / Is there such a thing as self-employed health insurance? There is no one particular type of insurance called health insurance for the self-employed. However, there are plenty of options for individuals who are self-employed to obtain health insurance. Get health insurance quotes by entering your zip code into the toolbox on this page now! Many options are available for individuals who are self-employed to be able to provide insurance for themselves, employees, and possible family members. This article discusses the outlets that are available for finding health insurance for those that are self-employed. What about COBRA health insurance for the self-employed? COBRA, which stands for the Consolidated Omnibus Budget Reconciliation Act is an option for individuals who are recently self-employed. You can maintain your health insurance from your previous employer by going on what is known as COBRA. This will provide you with the exact same benefits and insurance plan through the health insurance company you were enrolled through your previous employer. However, there are certain requirements for using COBRA, which are explained in detail at the United States Department of Labor website. For instance, policyholders can maintain COBRA coverage for 18 months after leaving their previous employer. In addition, COBRA is going to cost more than prior coverage, because you are now paying your previous employer’s contributing amount as well as your contribution to the plan. COBRA is often a favorable temporary solution. Self-employed individuals can search for other options for health insurance while still maintaining health insurance coverage through COBRA. Can I purchase health insurance through an association? Purchasing health insurance through a membership organization is another option for someone who is self-employed. Unions, associations, and leagues are all options where self-employed individuals can buy into their insurance plans for health insurance. Upon doing these searches, you will find a list of all the organizations that offer health insurance to their self-employed members or to their members who do not have access to group health insurance. What about obtaining self-employed health insurance through a wholesale club? Wholesale clubs like Costco or BJ’s often offer health insurance to their wholesale club members. You can learn more about these benefits at Costco’s and BJ’s websites. Costco and BJ’s Wholesale Club programs are through reputable insurance companies. However, other wholesale clubs offer what they call health insurance, but it is more like a resource to improving one’s health. Be sure and research these plans carefully. What about a traditional plan for individuals who are self-employed? 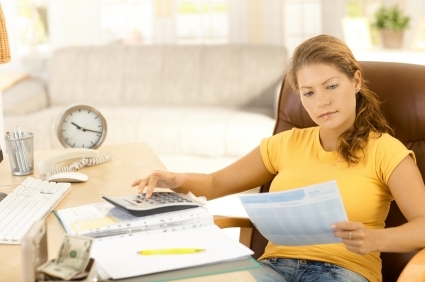 There are traditional plans available for self-employed individuals. For instance, you can look into setting up a Health Savings Account through many nationally known health insurance companies. These plans work with a high deductible health insurance plan and an account, which you can place pre-tax income to be used for medical expenses throughout the year. In addition, if you have more than one employee, you may be able to find health insurance, which is classified under a group. Every insurance company has different qualifications for what they consider a group, but sometimes it can be as minimal as two or three individuals including the business owner. The National Association of Health Underwriters explains group health insurance is classified as any amount of employees under 50, so even small business owners or self-employed businesses are entitled to health insurance. An explanation of group health insurance requirements can be reviewed at the NAHU website. The other thing self-employed individuals should understand is that the contribution that is paid by the employer for health insurance is tax deductible in many states. Although the cost of health insurance for a self-employed individual or small business owner may seem high, it could be beneficial on your state or federal tax return. You can compare health insurance rates for self-employed individuals by entering your zip code into the toolbox now!